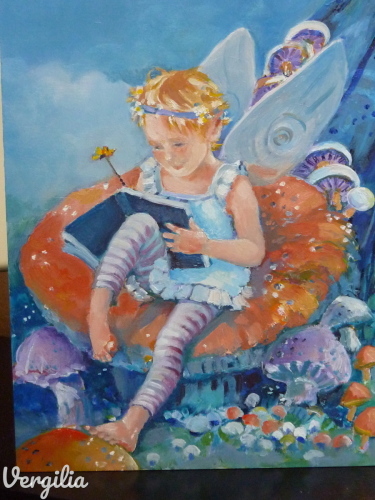 Faerie sitting on a mushroom with journal. Oil on three dimensional panel with gold leaf sides. SOLD. For painting of your child in fantasy scene contact artist. Oil on three dimensional wood panel with gold leaf on sides. SOLD. 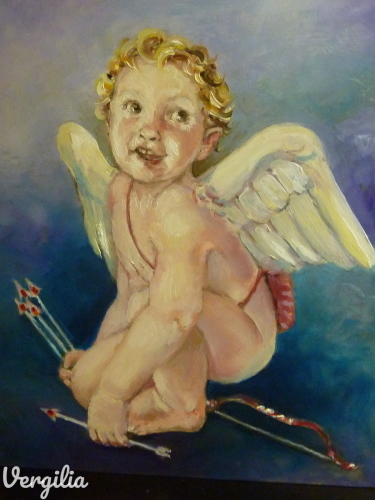 For painting of your child in fantasy scene, contact artist.